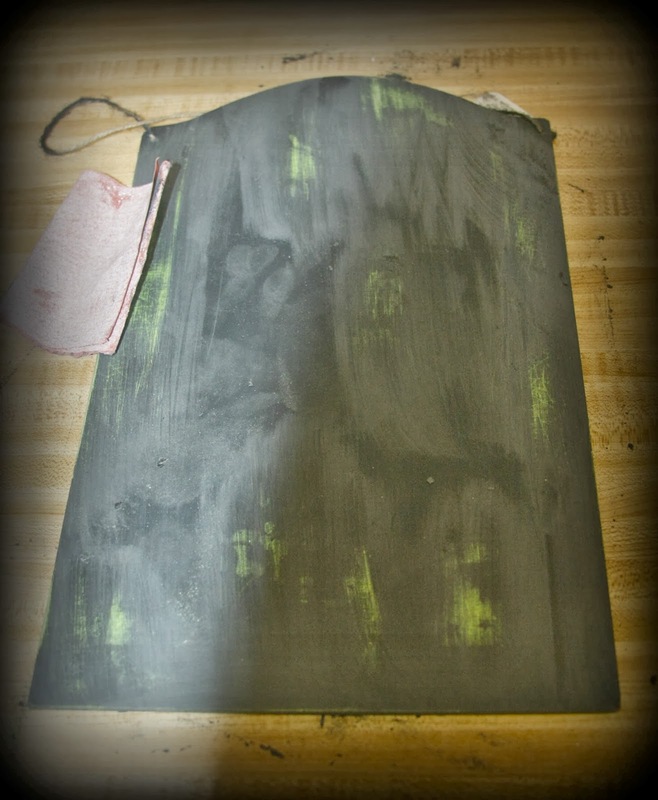 then I sanded it to let a little of the green show through. 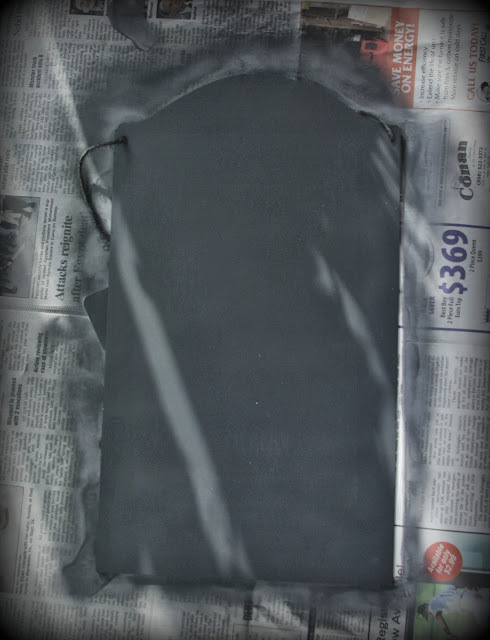 Next I took some vinyl and cut out the lettering. 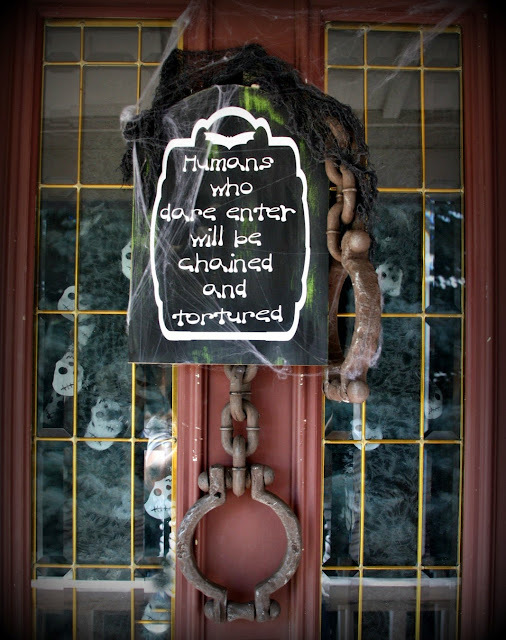 "Humans who dare enter will be chained and tortured" I bought some fake chain from Walmart and hung it on the door first. 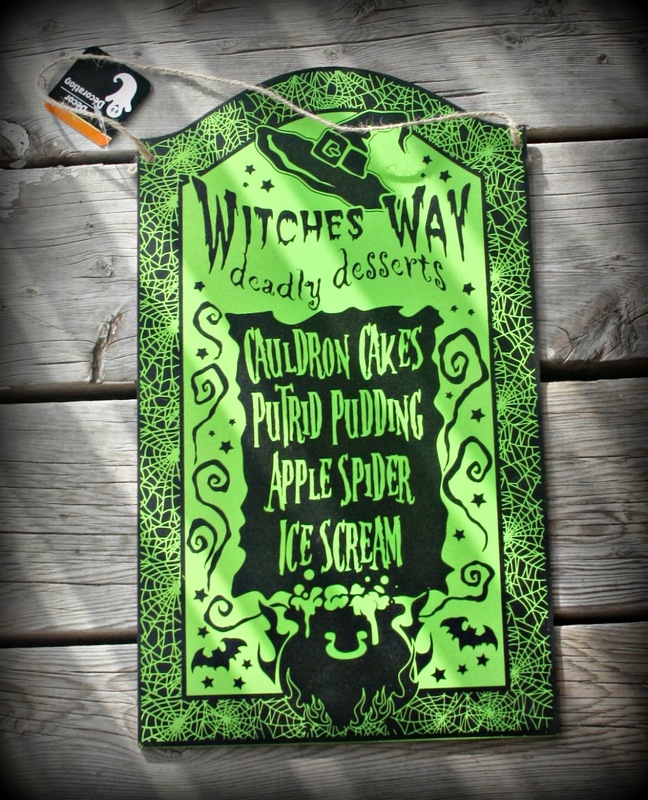 Then I hung the sign and added some black cheesecloth and spider webs. Perfect for my front door. Very clever! I love how you sanded it a bit to let the green show through. Saves a step when you don't have to pain it green yourself.